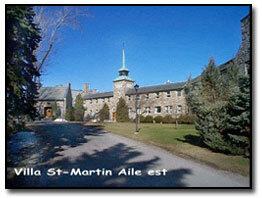 The Montreal Villa St. Martin Men's retreat started in 1989 and is open to men recovering from addiction through a 12 step program. "This retreat is extremely popular and is usually sold out a year in advance." There is always space for first time retreatants and no one is turned away if they lack sufficient funding. The cost for 2019 is $220.00 CAD including gratuities and a Saturday night pizza party. Additional contributions are gratefully accepted and help defray the costs for those less fortunate. Villa St Martin is located on a beautiful riverfront setting and large peaceful grounds. 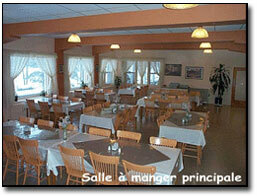 It is located 15 minutes from Dorval Airport and is 20 minutes from the center of Downtown Montreal. The timing of the retreat is usually at the same time as the Montreal Jazz Festival (second in size only to New Orleans) and many retreatants have built a mini vacation around the retreat. There is a traditional golf game on the Friday morning of the retreat. Interested retreatants should contact Yanick @ yanick75@hotmail.com.